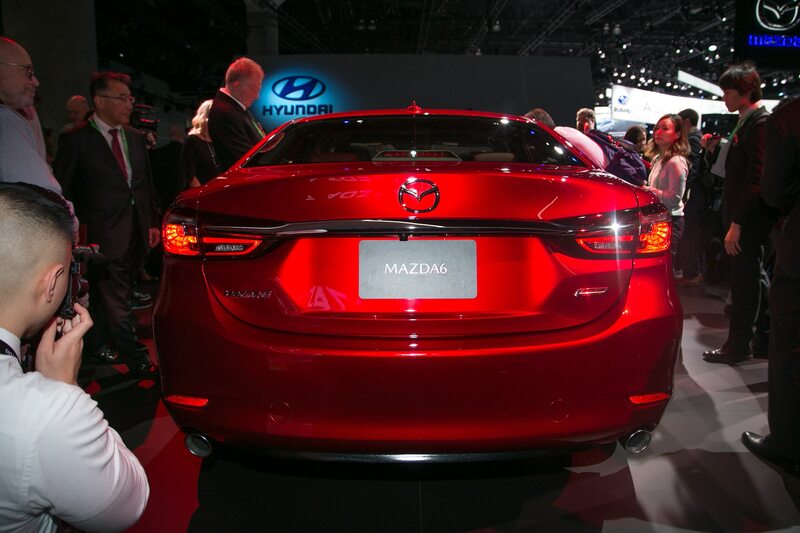 A refresh endowed the 2018 Mazda6 with updated looks and a new turbocharged 2.5-liter four-cylinder engine option that offers customers the power many have been clamoring for. 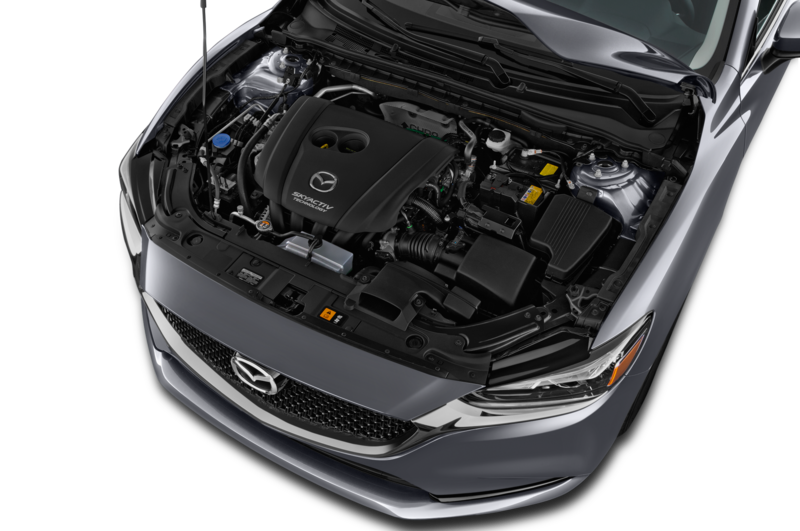 That engine delivers a welcome 250 hp and 310 lb-ft of torque when running premium fuel, and now we know what kind of gas mileage it gets. Official fuel economy estimates for the 2018 Mazda6 line were posted recently on the EPA’s fueleconomy.gov, and the 2.5-liter turbo version is rated at 23/31/26 mpg city/highway/combined. 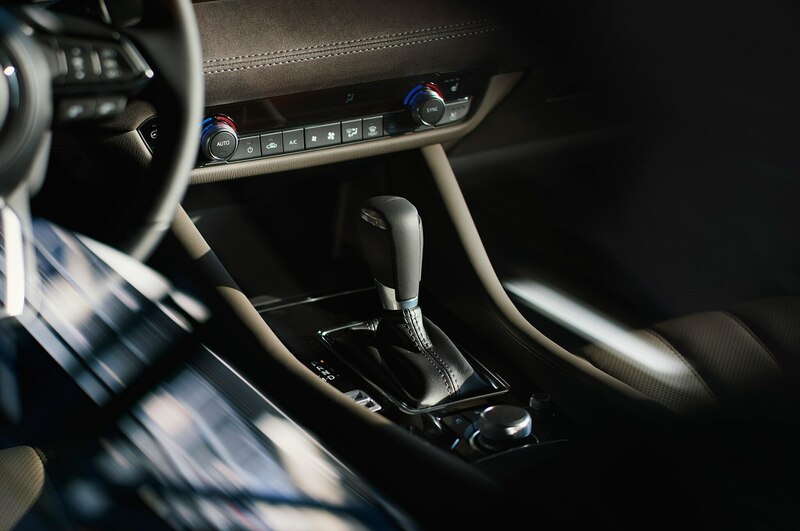 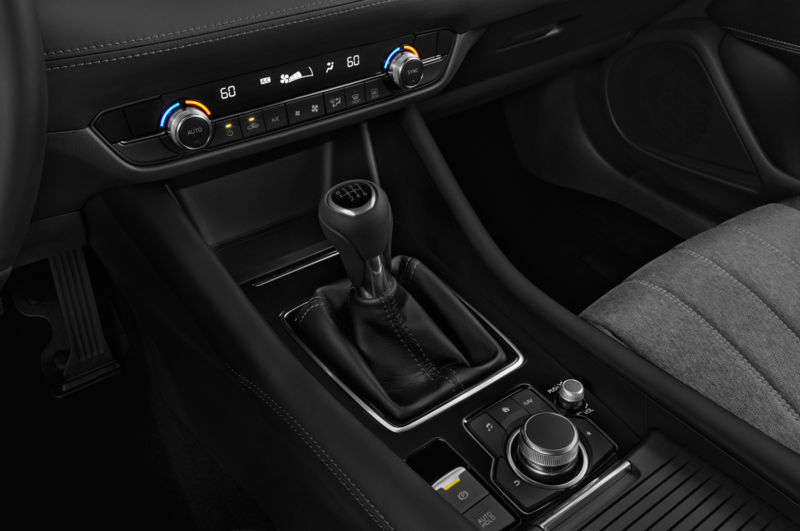 Not surprisingly, those figures come in below the naturally aspirated 2.5-liter with the six-speed automatic transmission (26/35/29 mpg), but they’re not much lower than the manual-equipped 2.5-liter (24/33/27 mpg). 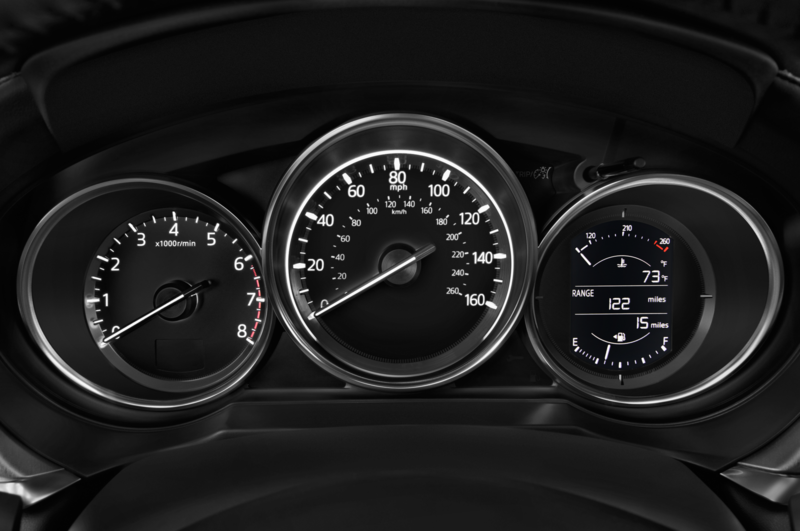 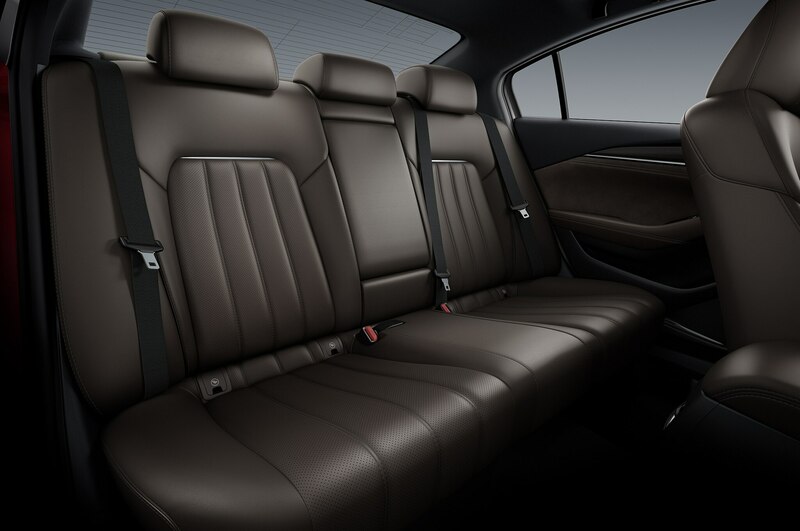 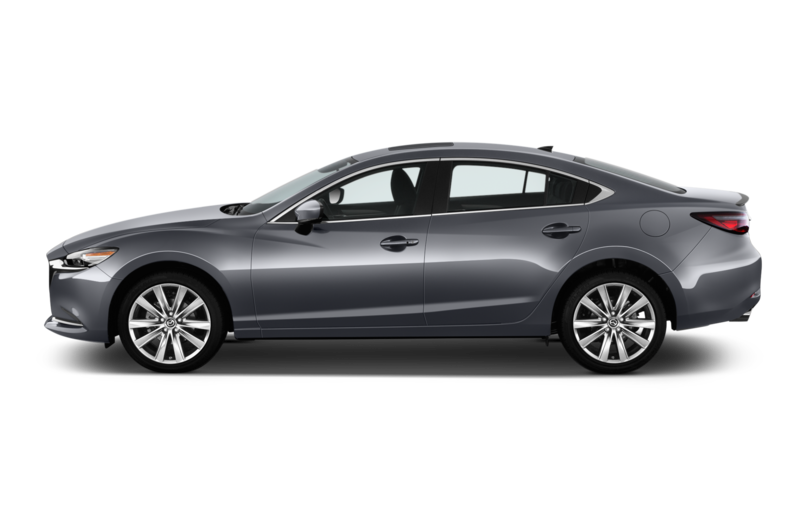 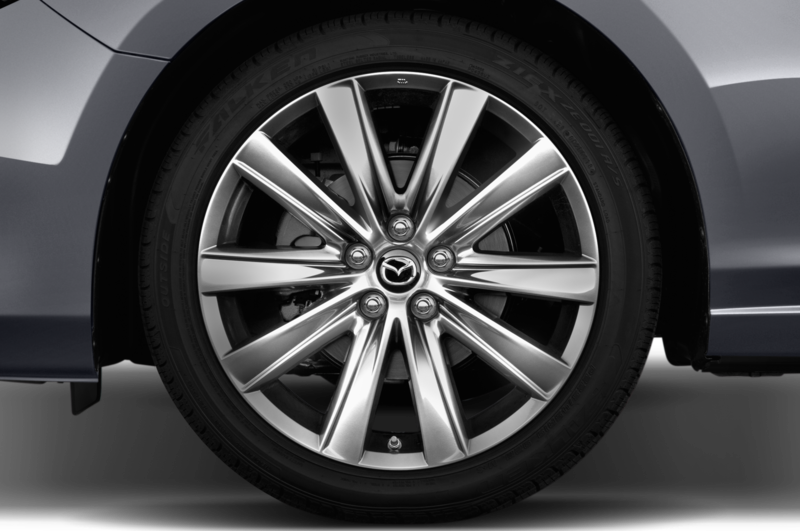 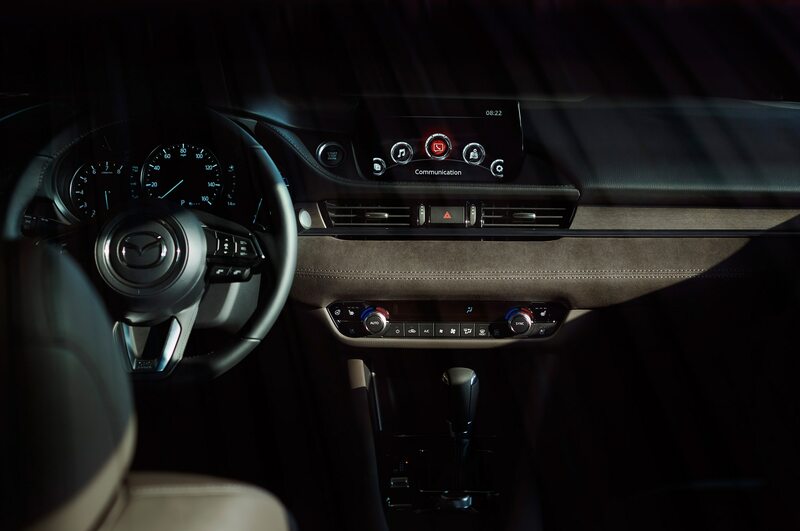 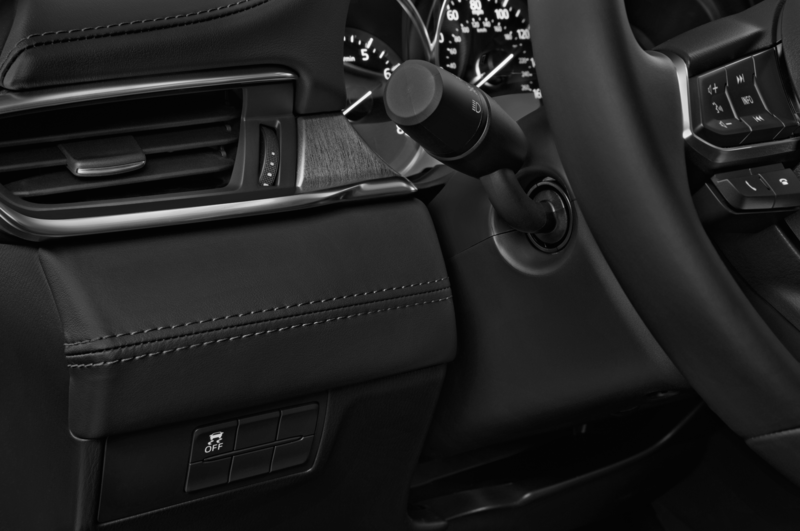 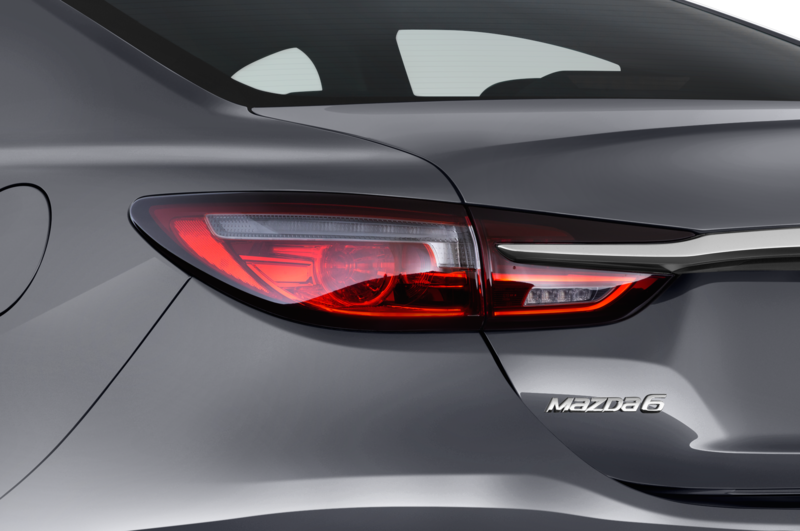 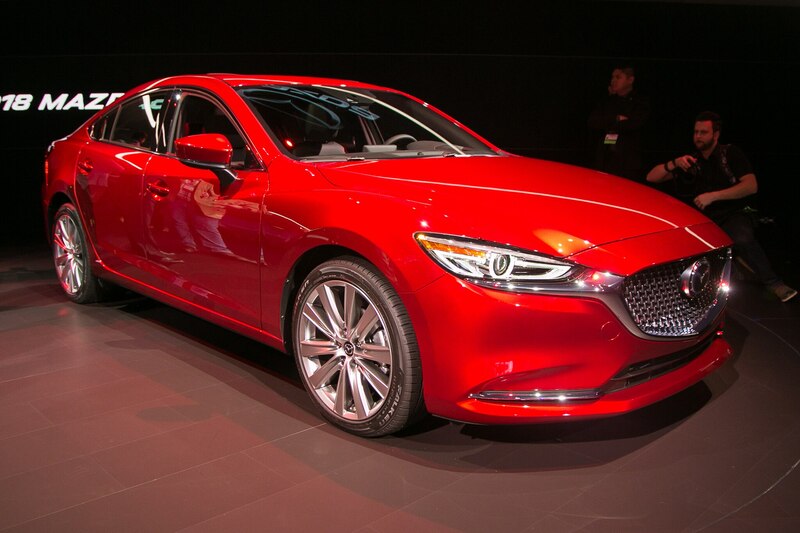 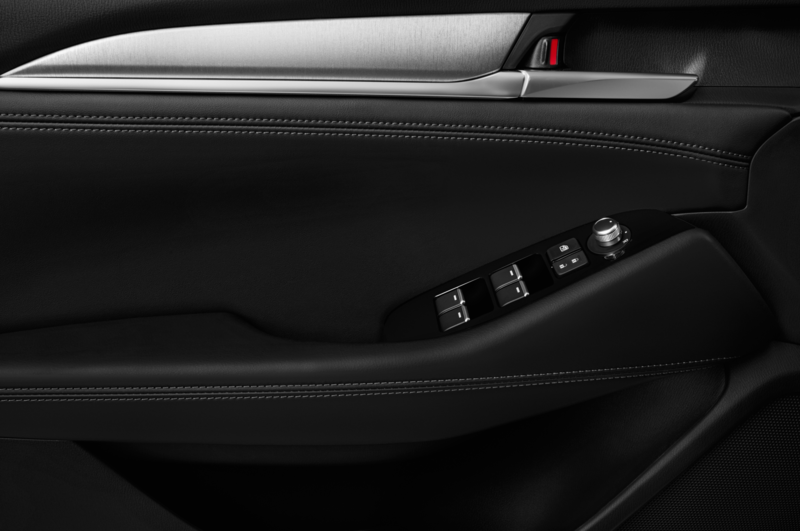 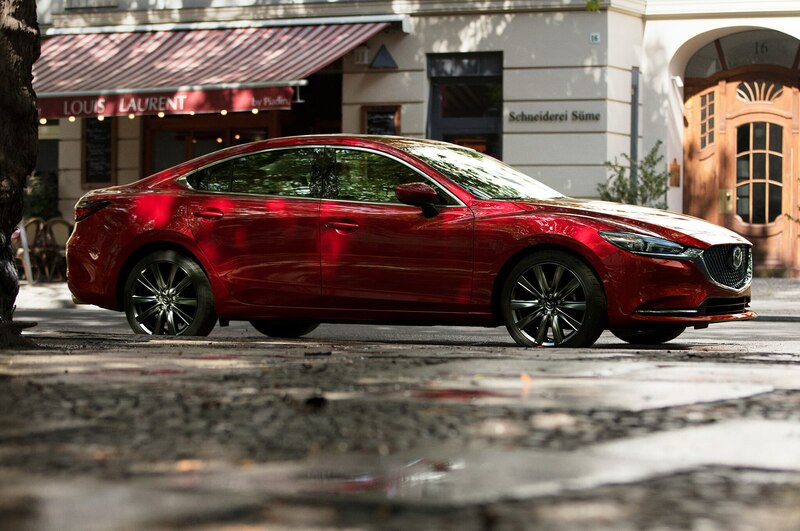 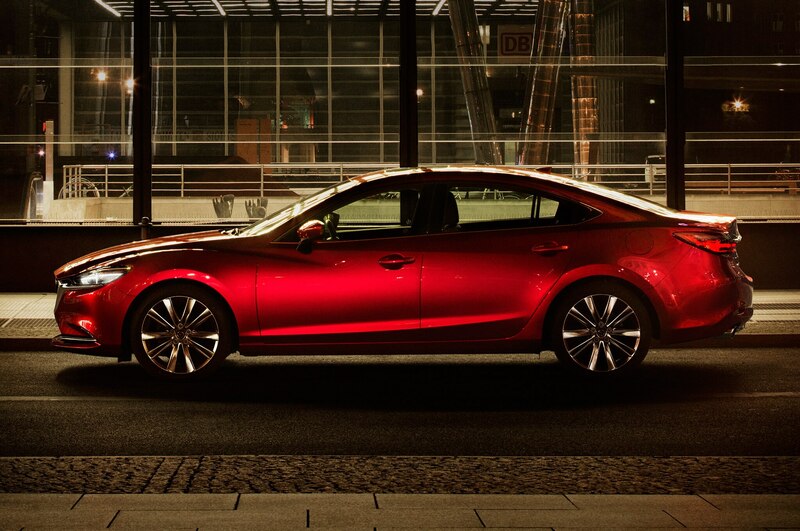 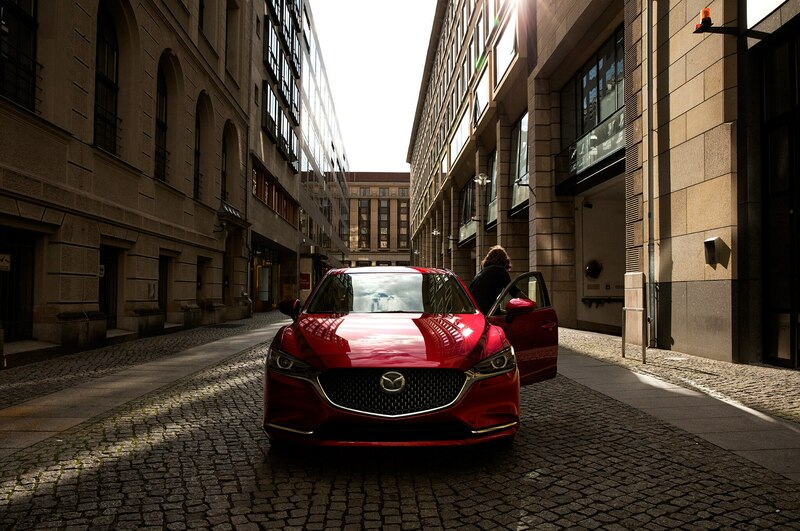 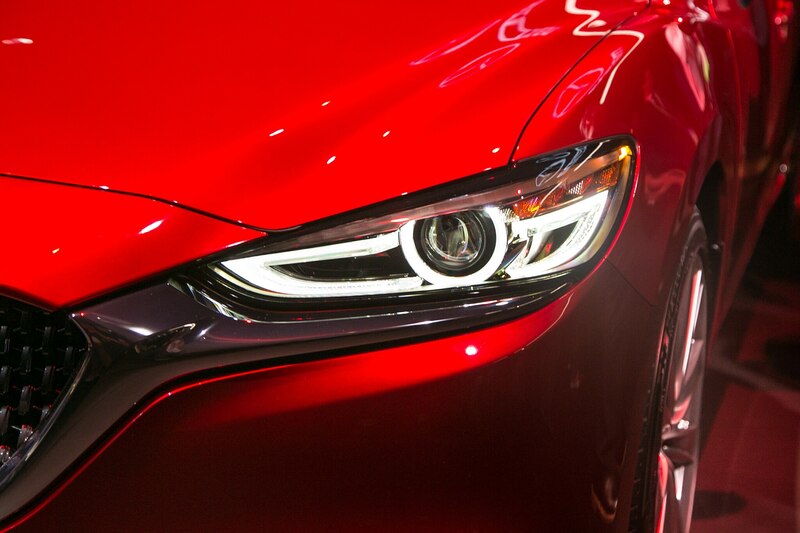 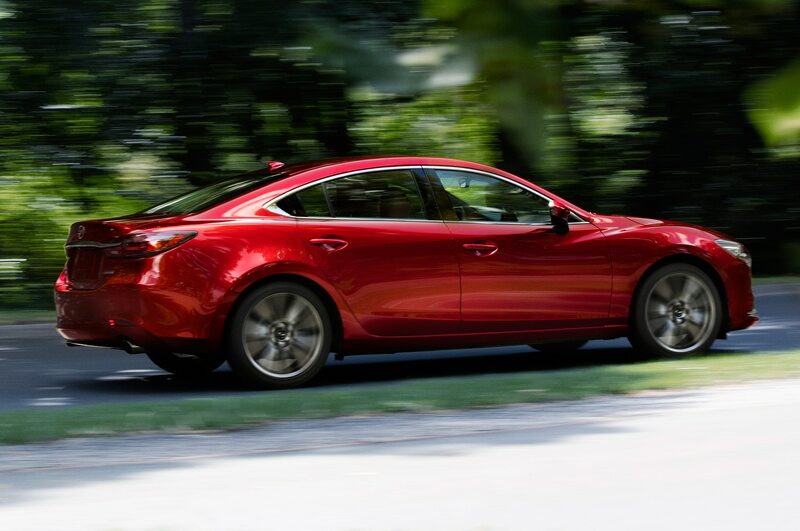 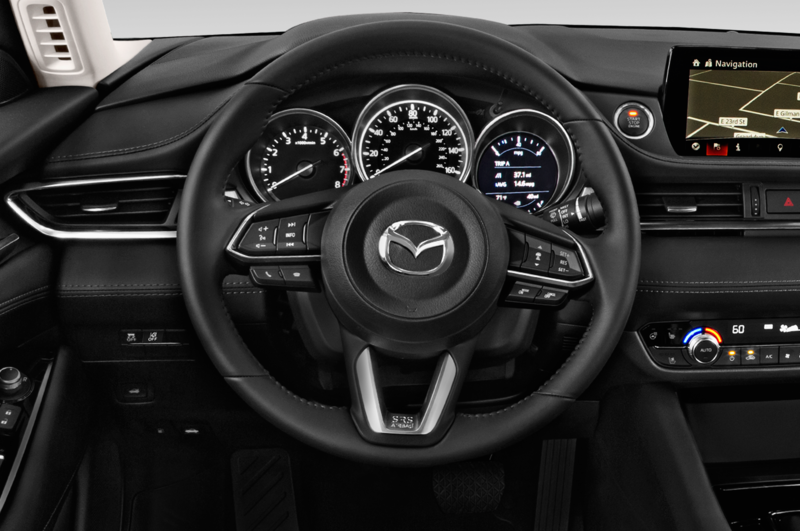 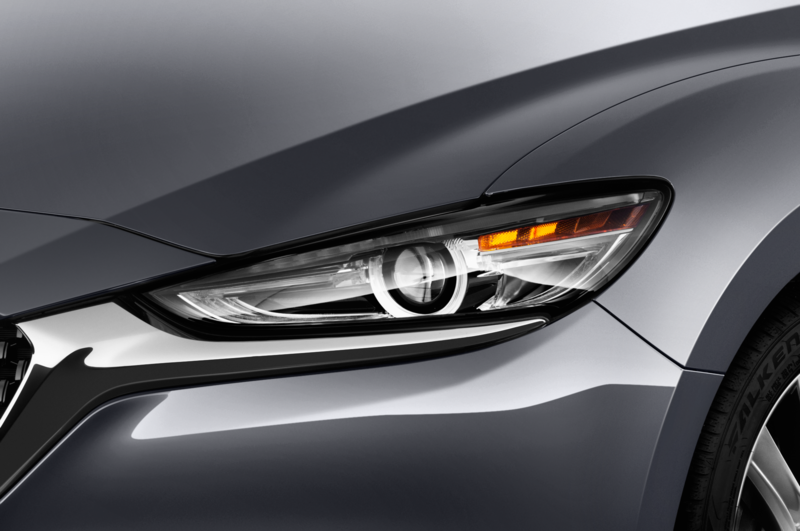 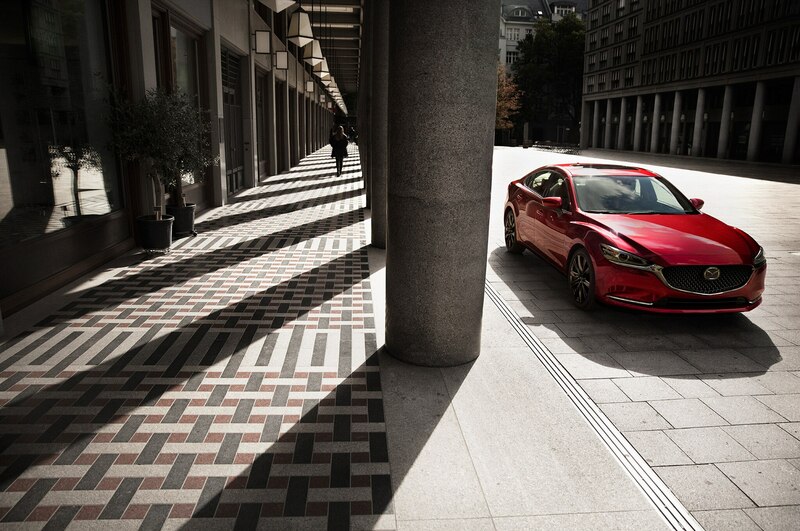 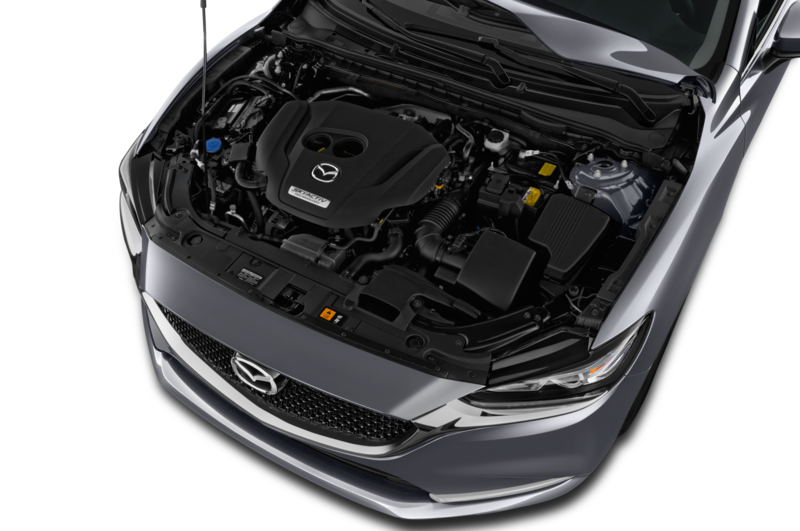 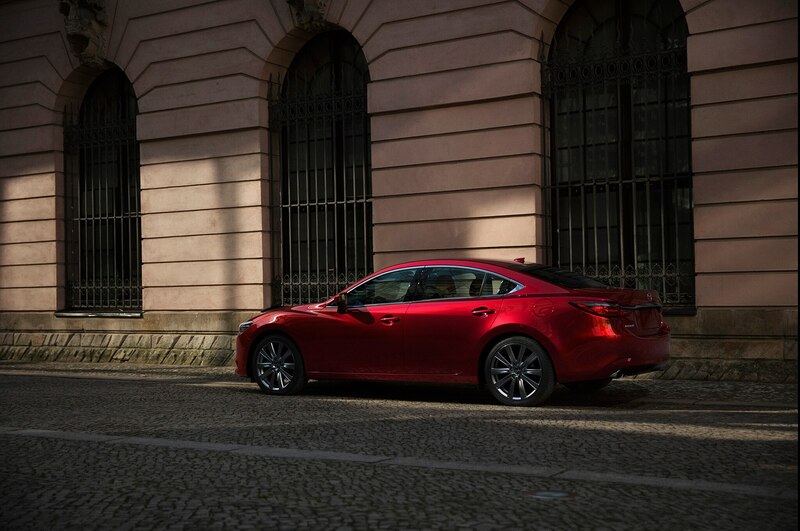 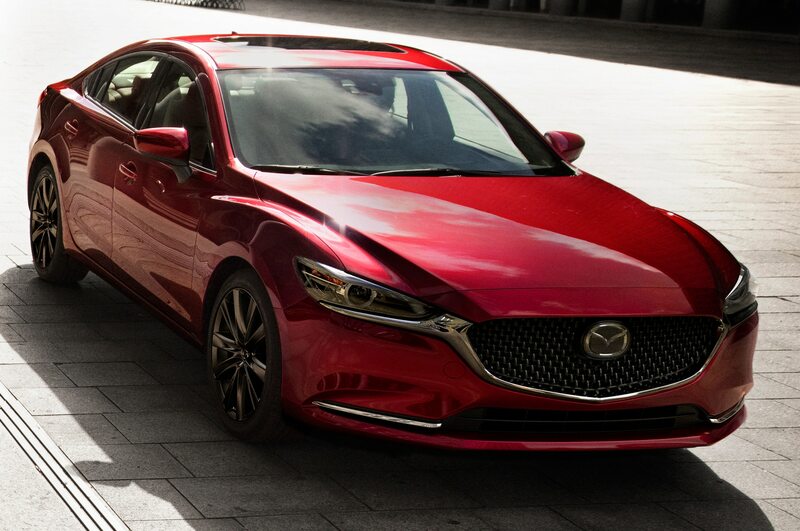 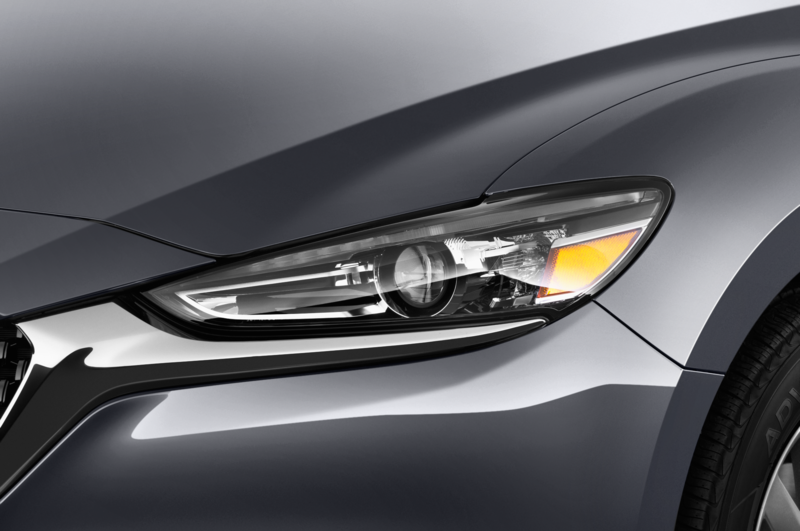 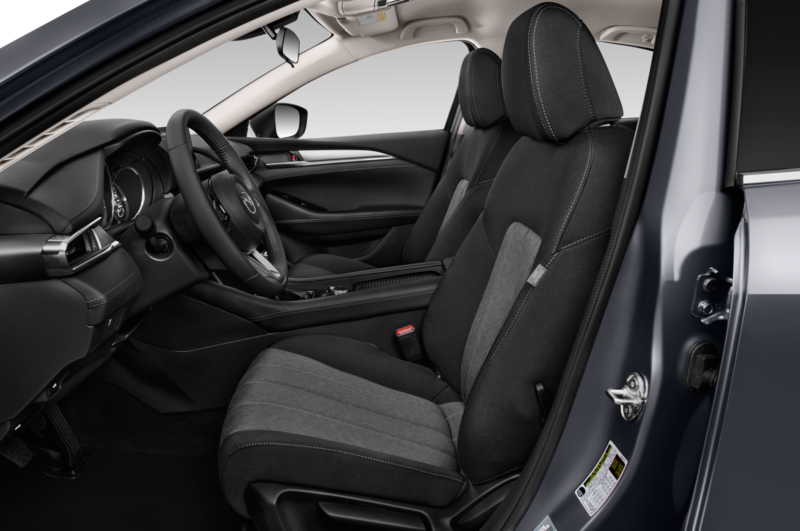 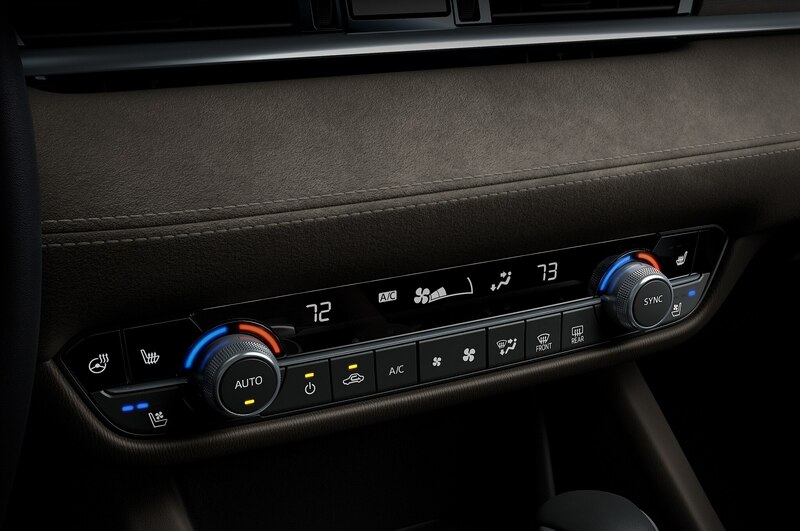 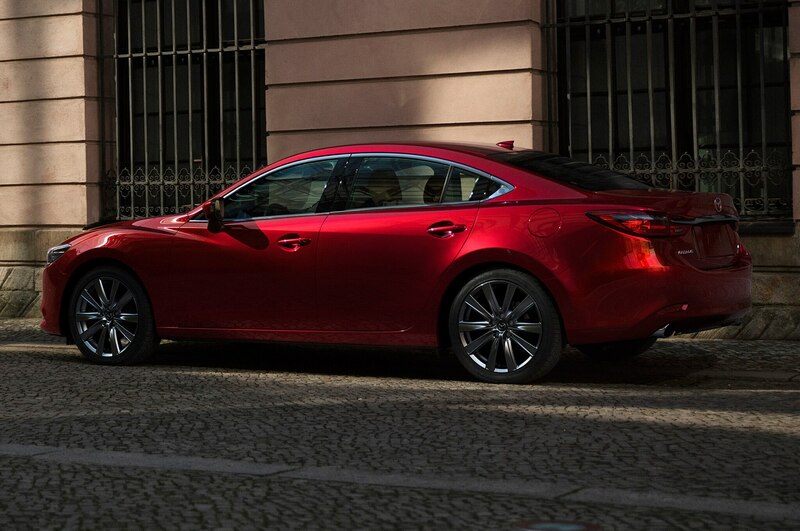 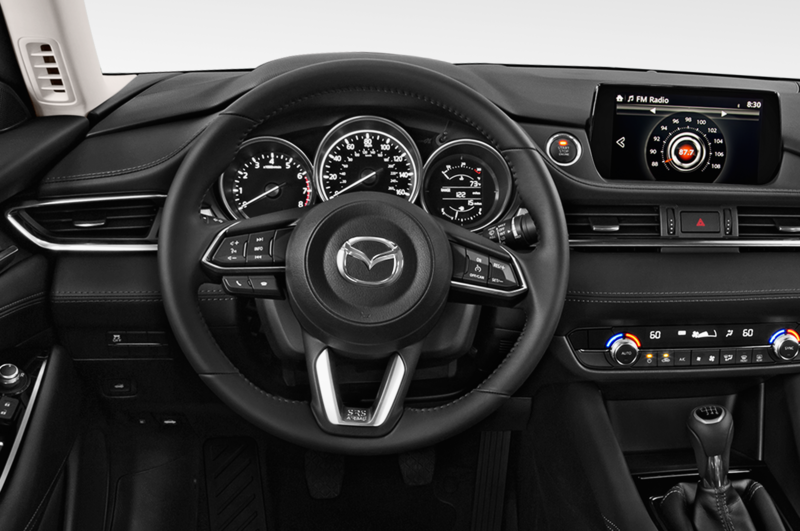 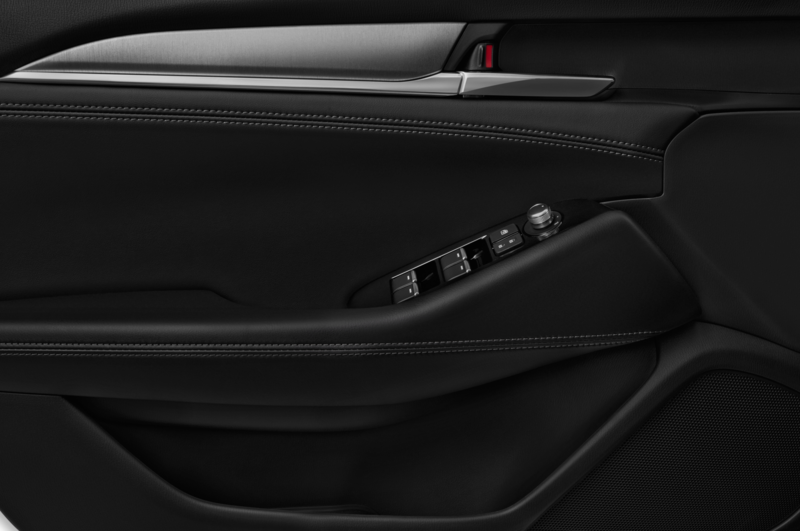 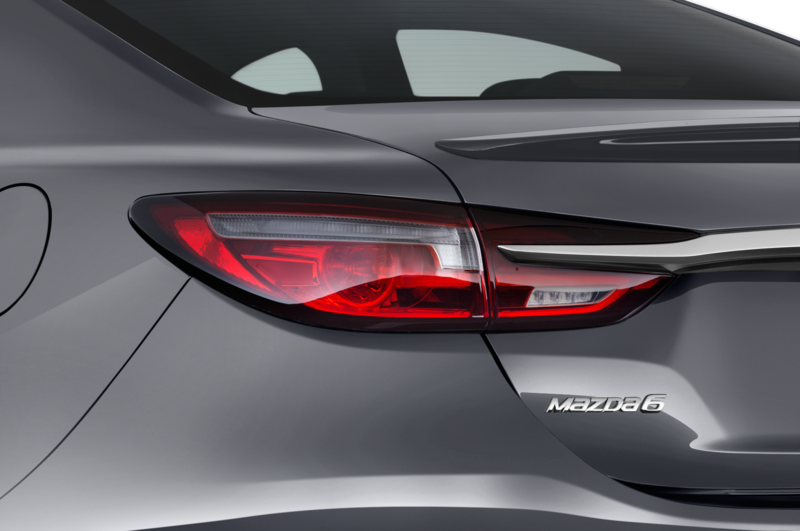 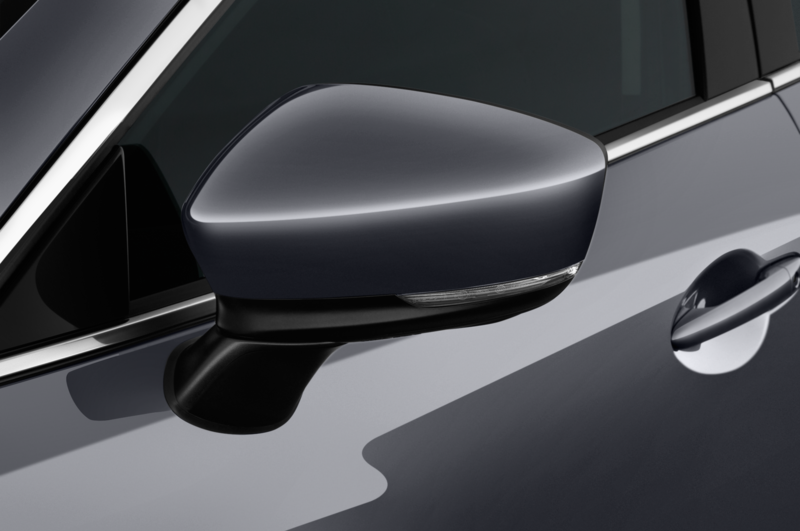 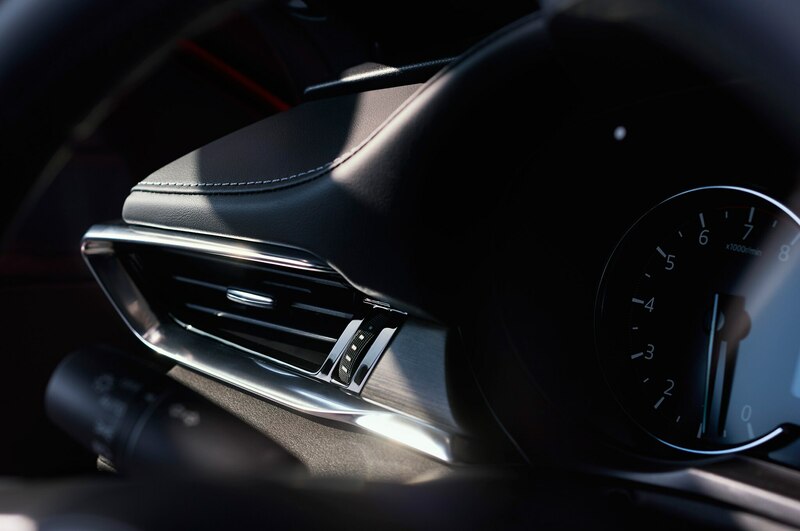 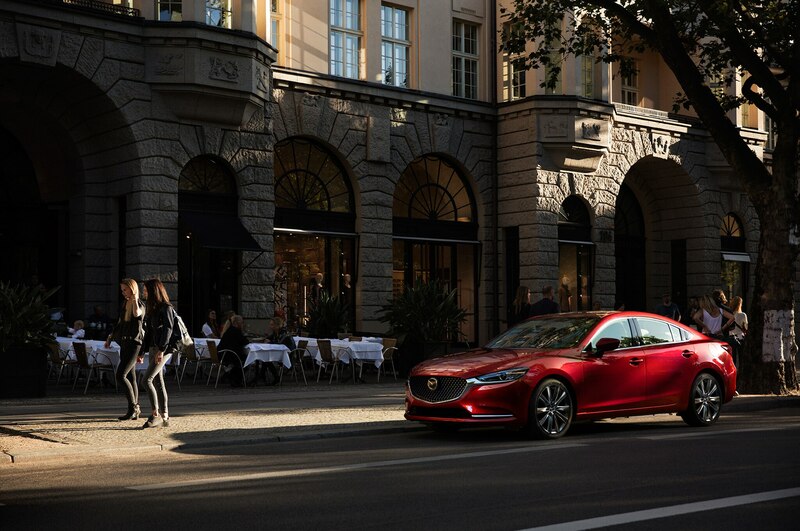 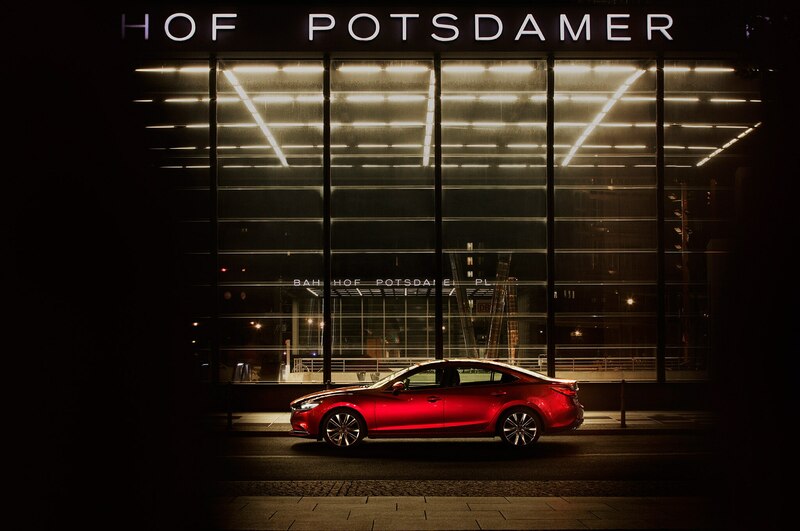 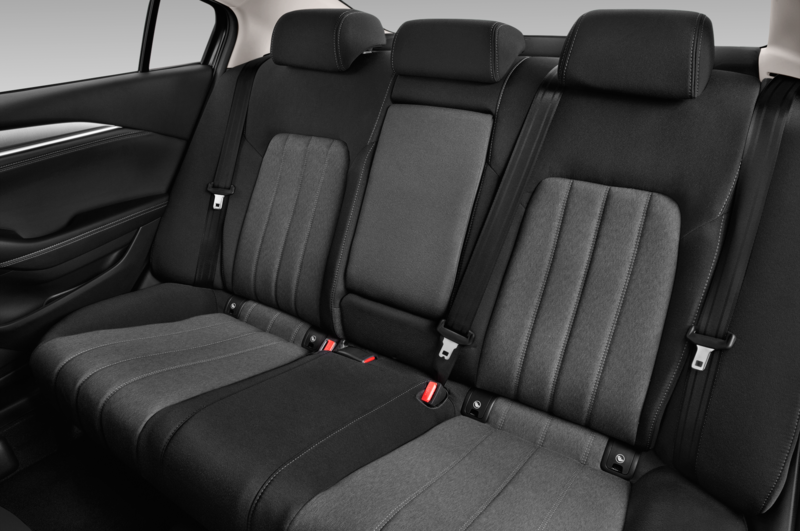 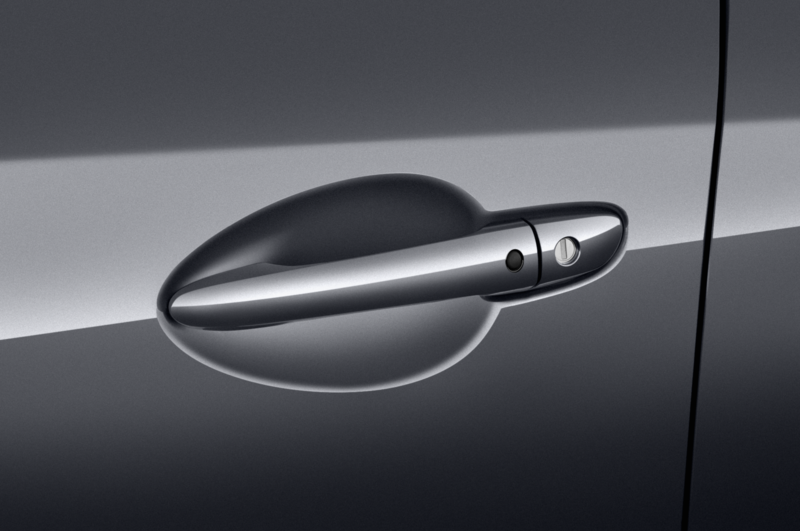 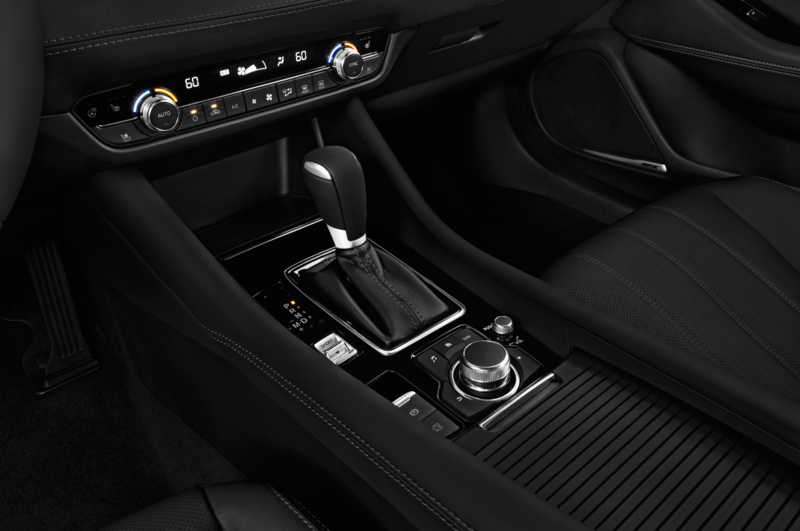 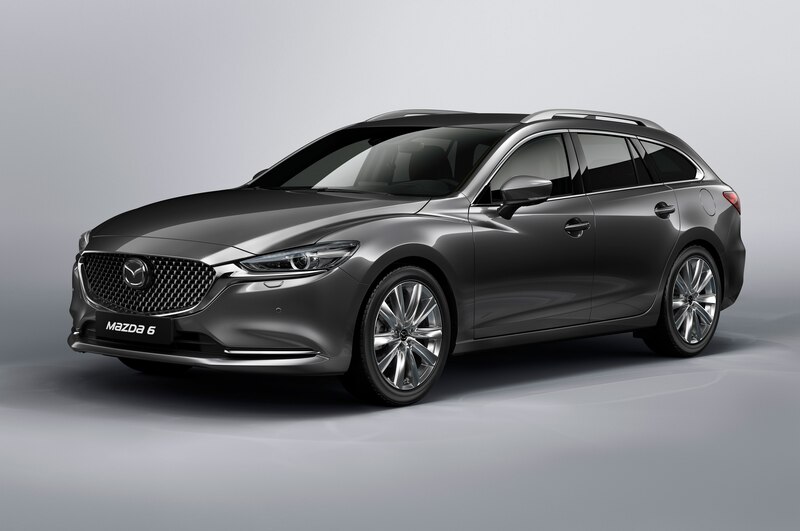 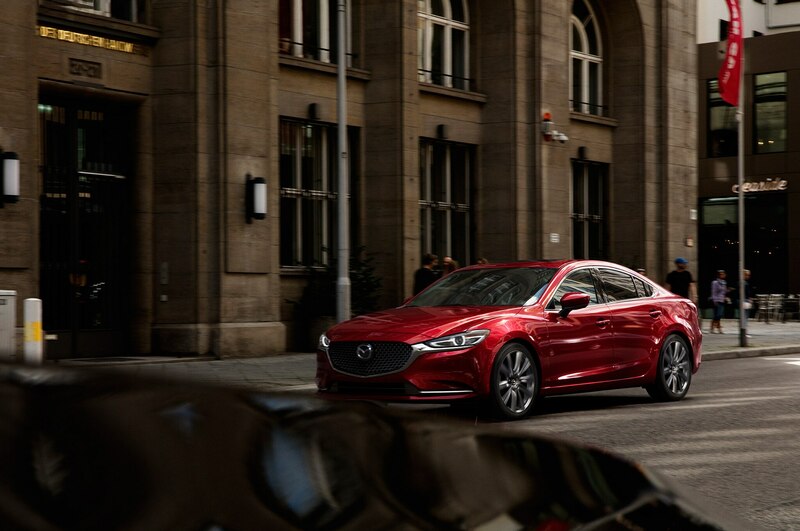 The Mazda6’s turbo engine comes paired exclusively with a six-speed automatic. 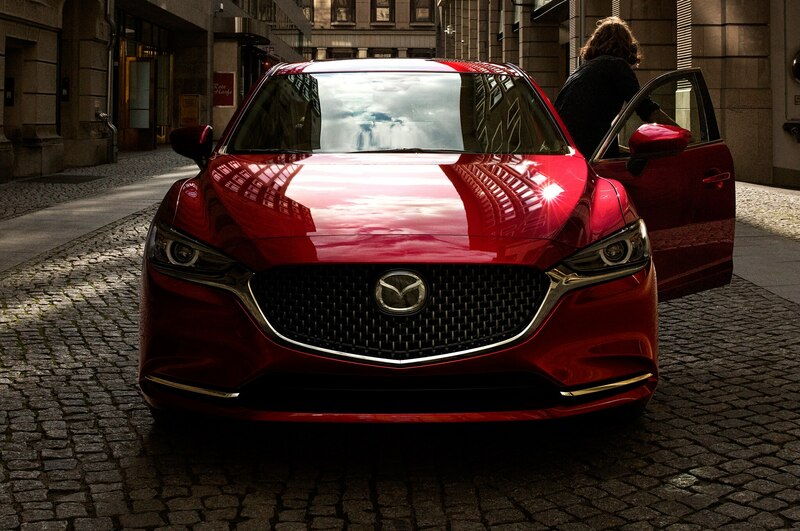 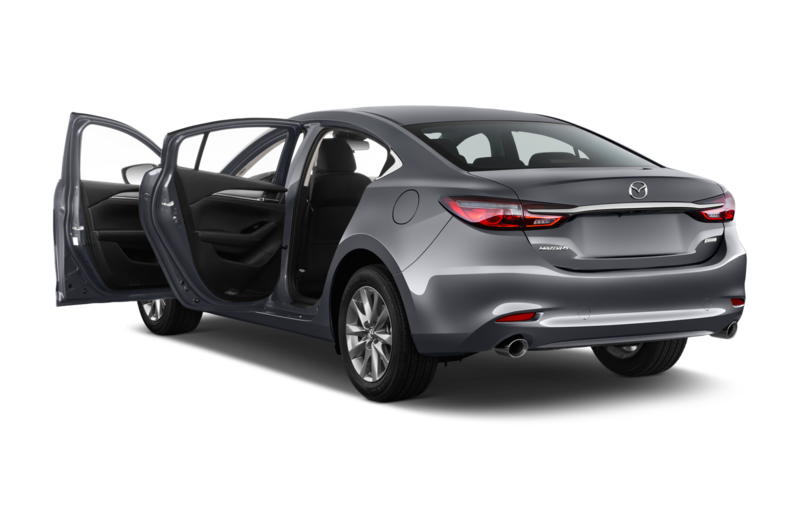 The 2018 Mazda6’s 2.5-liter turbo-four is for the most part on par with the turbo 2.0-liters of the midsize class. 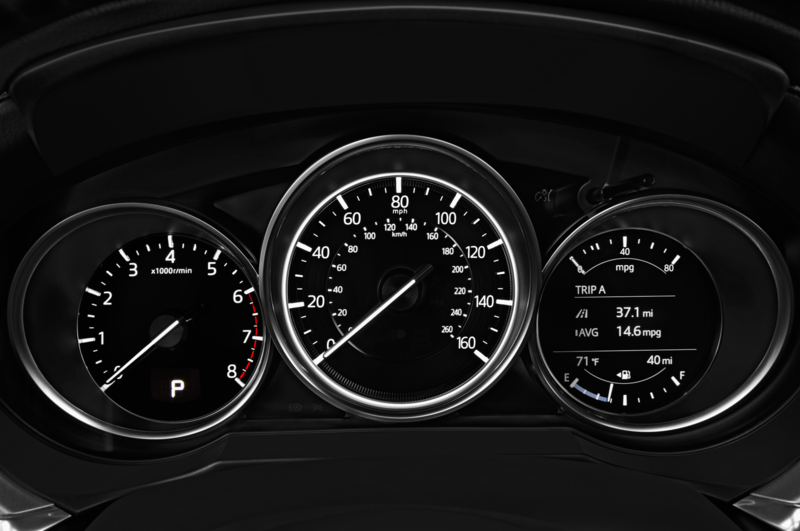 The new engine comes in 1 mpg shy of the 2018 Honda Accord Sport 2.0T (22/32/26 mpg) in highway mileage but has a 1-mpg advantage in the city. 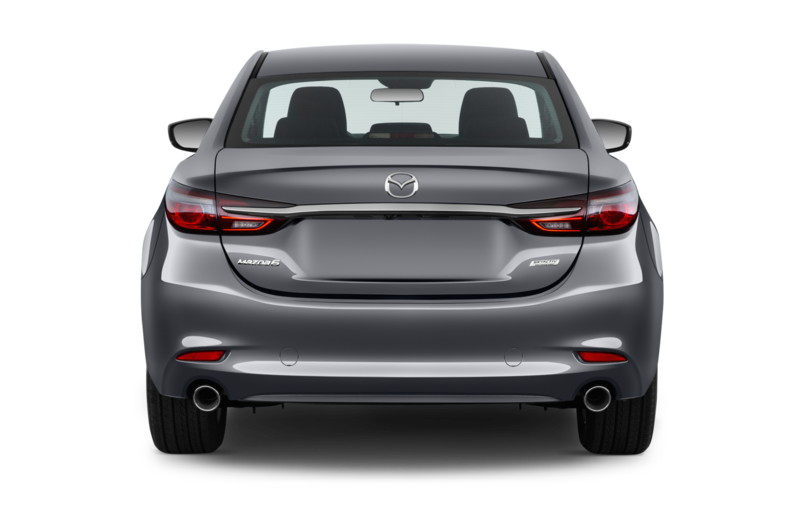 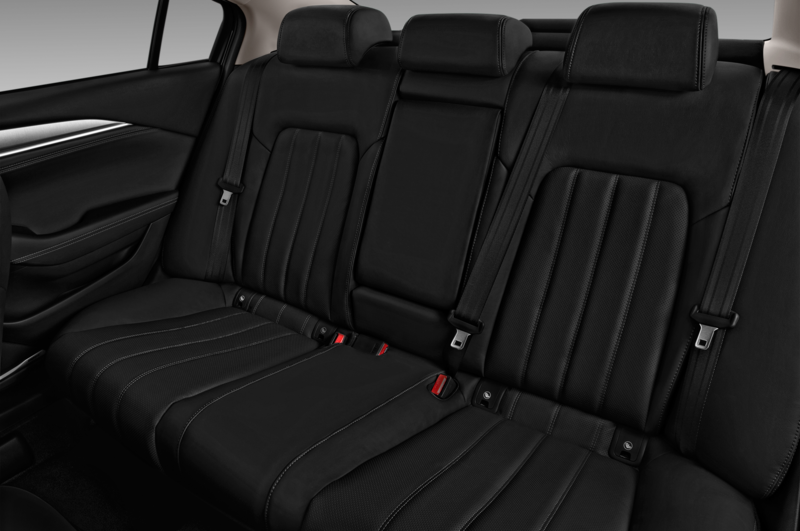 Versus the 2018 Honda Accord EX-L 2.0T (23/34/27 mpg), however, the Mazda6 is rated the same in the city and down 3 mpg on the highway. 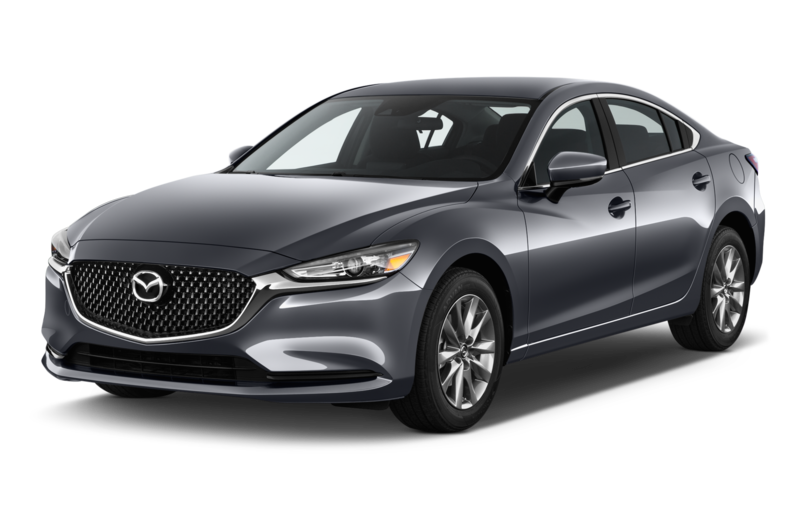 Meanwhile, the Mazda beats the 2018 Chevrolet Malibu 2.0T (22/32/26 mpg) by 1 mpg in the city, but comes up 1 mpg short on the highway. 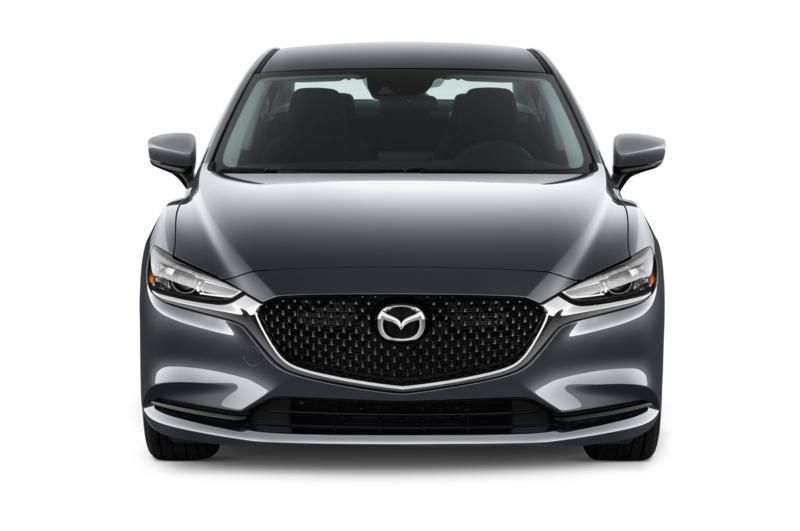 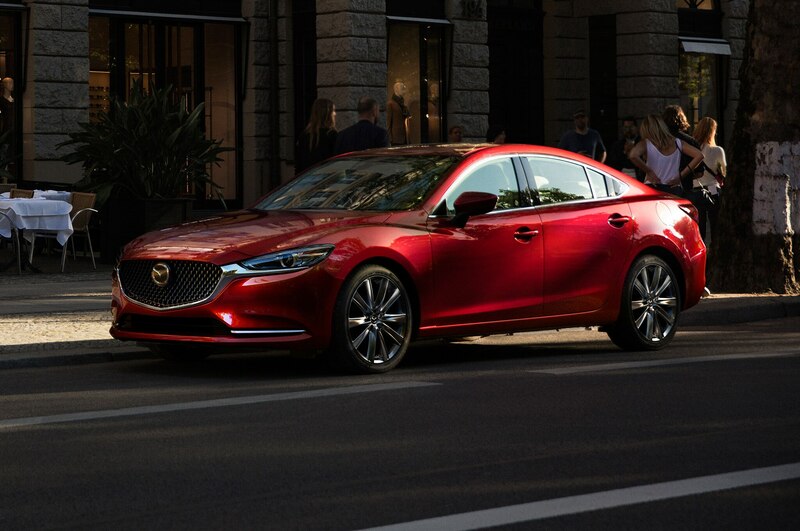 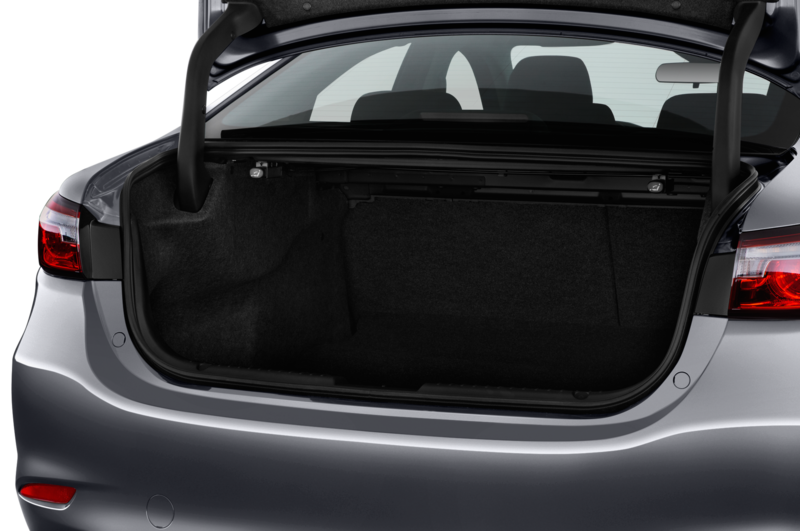 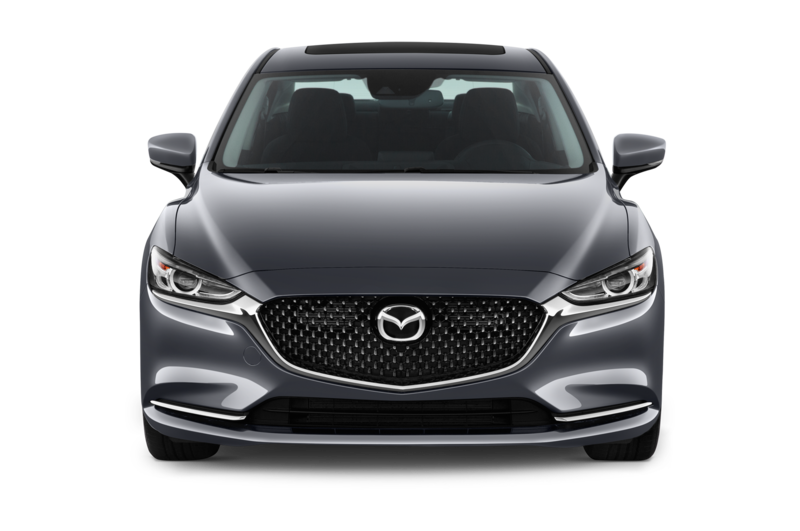 Compared to the 2018 Ford Fusion 2.0 EcoBoost (21/31/25 mpg), however, the Mazda6 turbo is more efficient in the city. 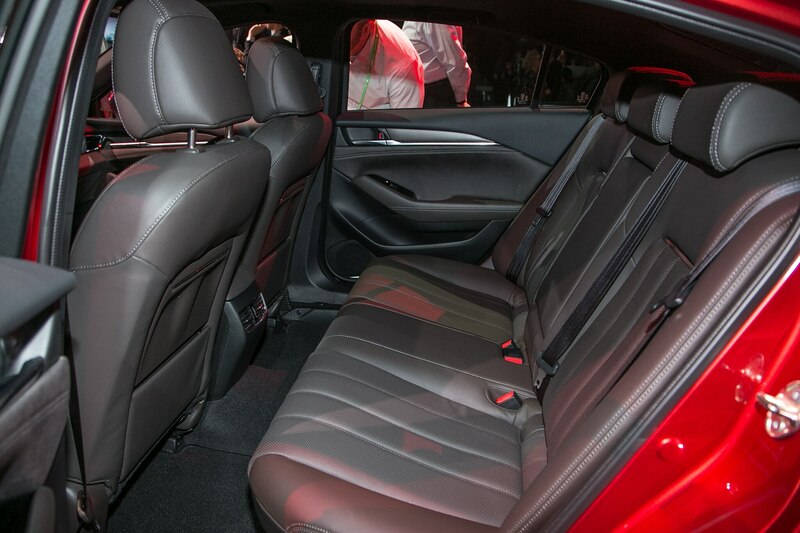 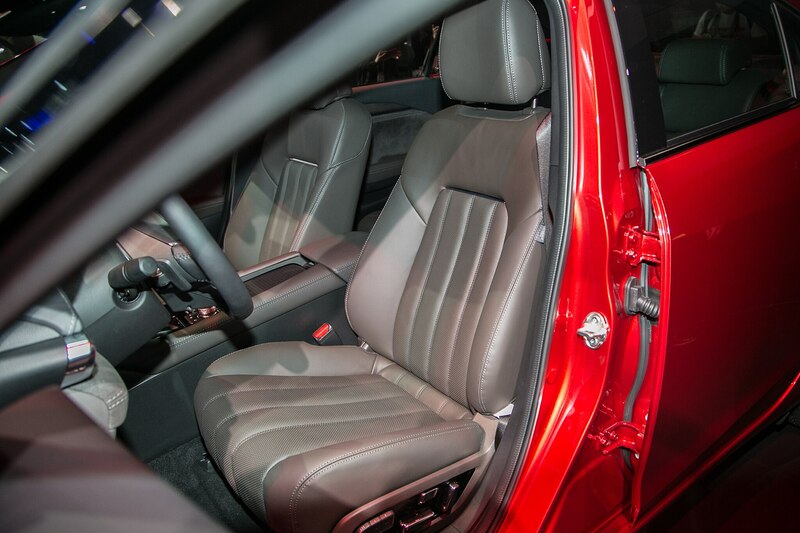 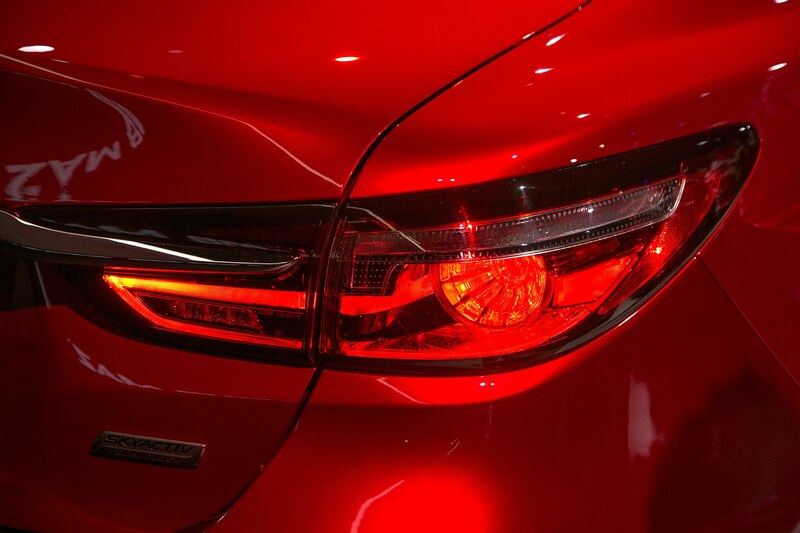 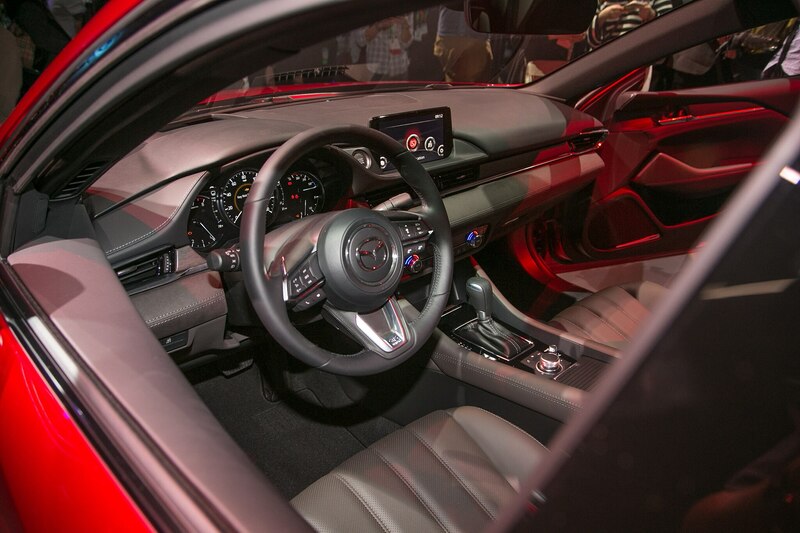 Up against the 2018 Toyota Camry equipped with the 3.5-liter V-6 (22/33/26 mpg), the Mazda is more efficient in the city but sacrifices 2 mpg to the naturally aspirated six-cylinder on the highway. 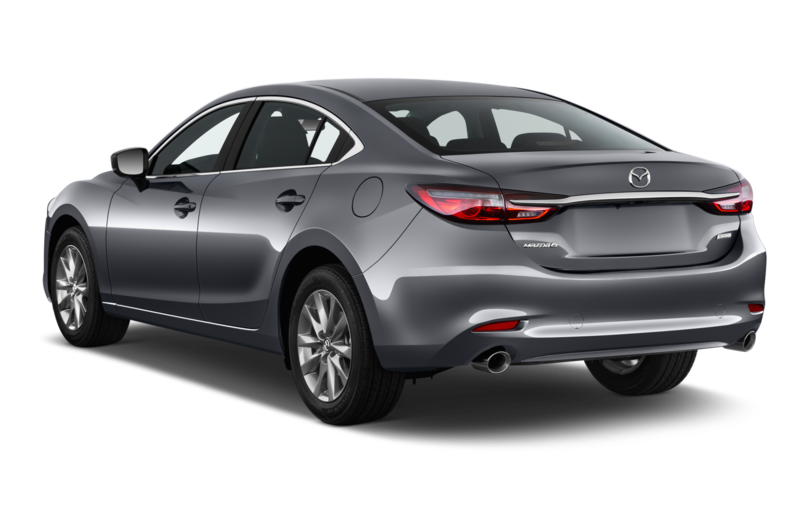 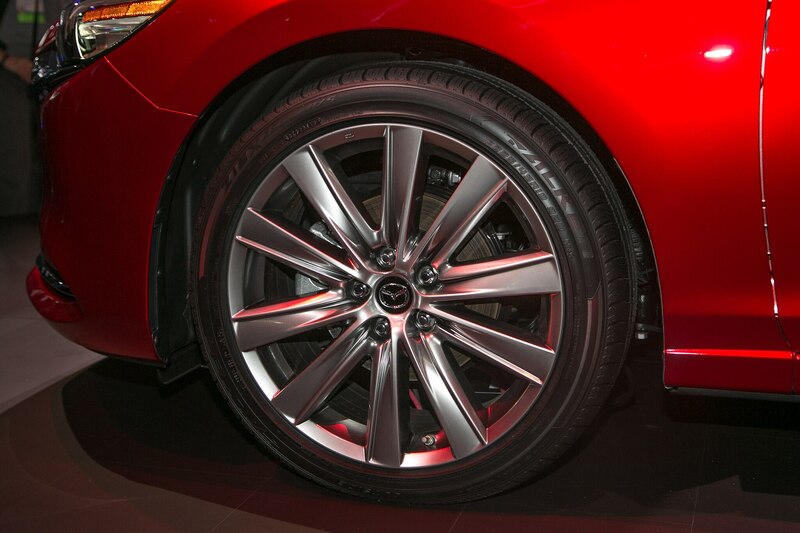 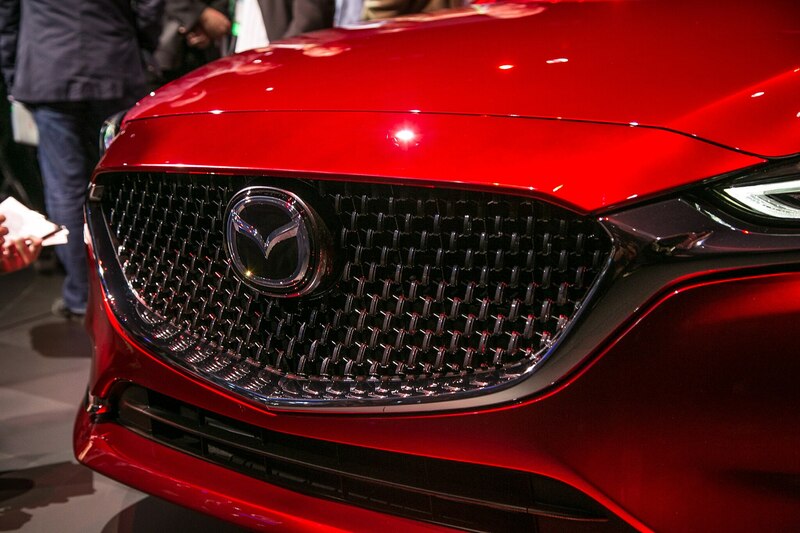 Though the National Highway Traffic Safety Administration published crash data for a 2018 Mazda6 with all-wheel drive, there’s no sign of such a model on the EPA’s website. 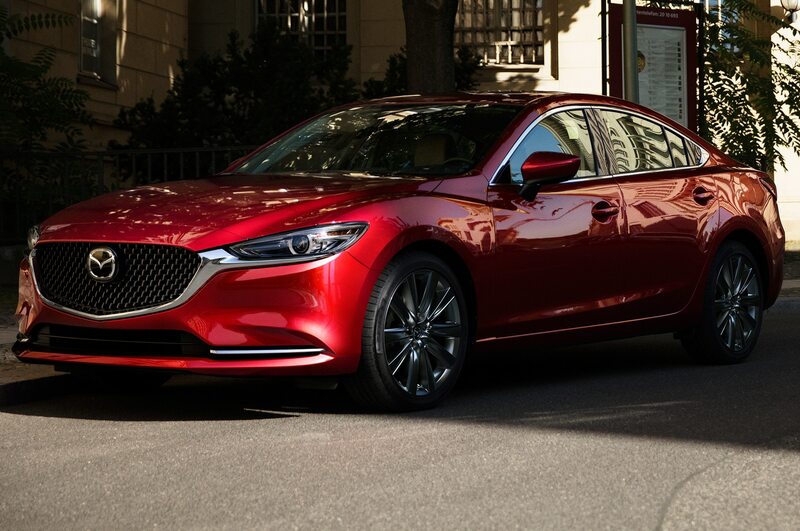 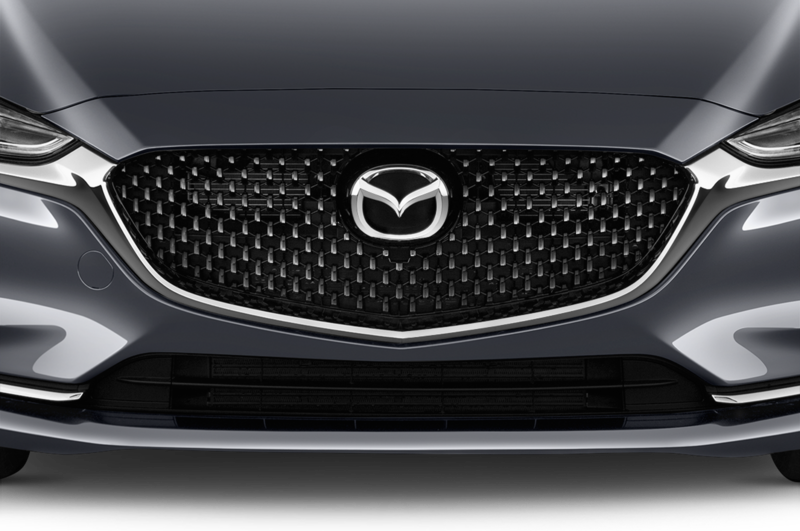 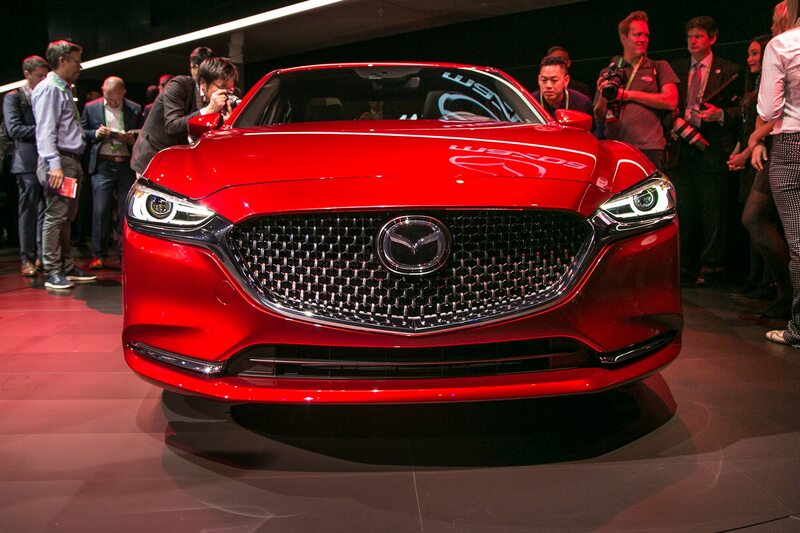 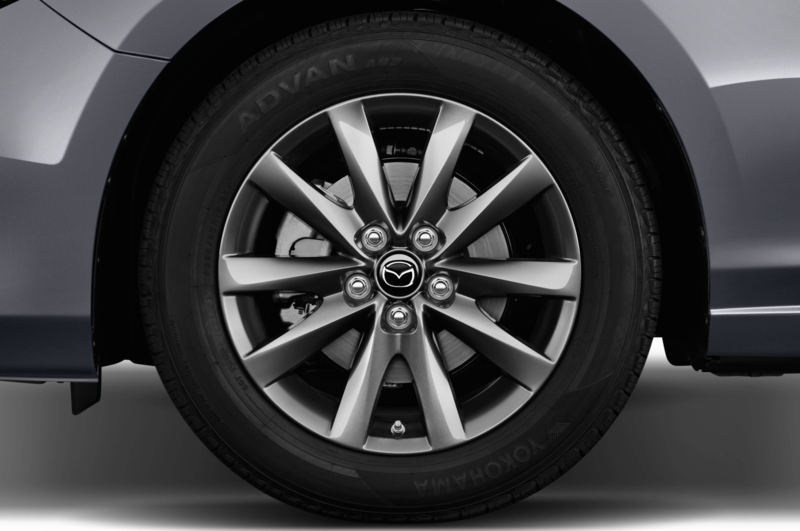 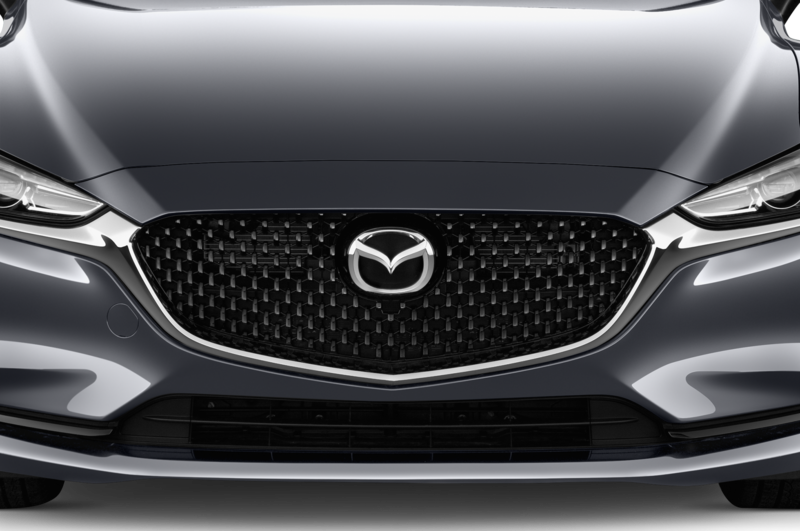 Mazda’s North America CEO expressed interest in an all-wheel-drive Mazda6 for the U.S. market, but so far Mazda hasn’t officially confirmed a variant with four driven wheels. 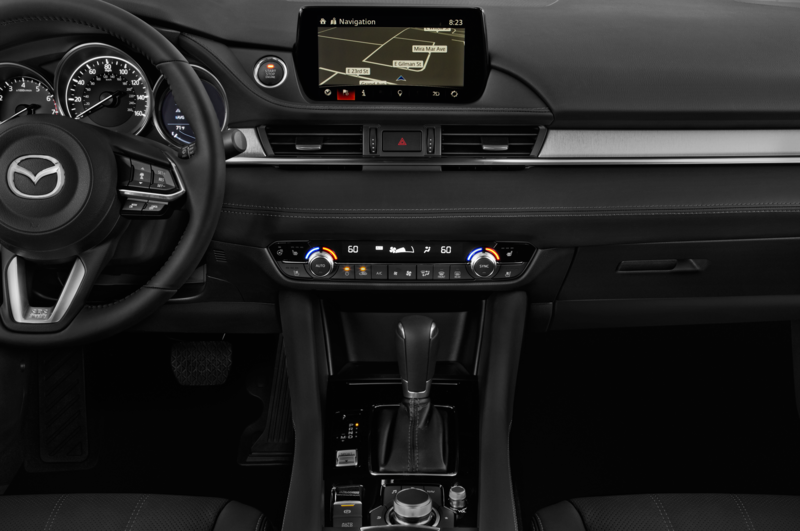 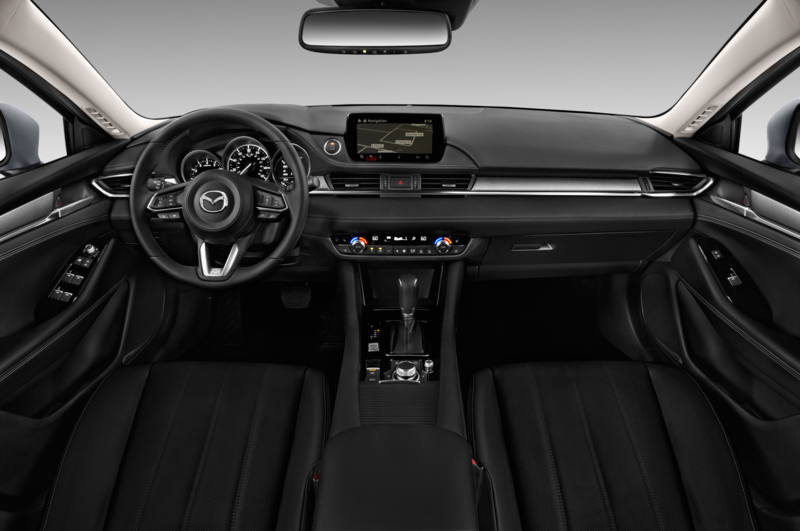 2018 Mazda6 Gets Android Auto and Apple CarPlay is Here! 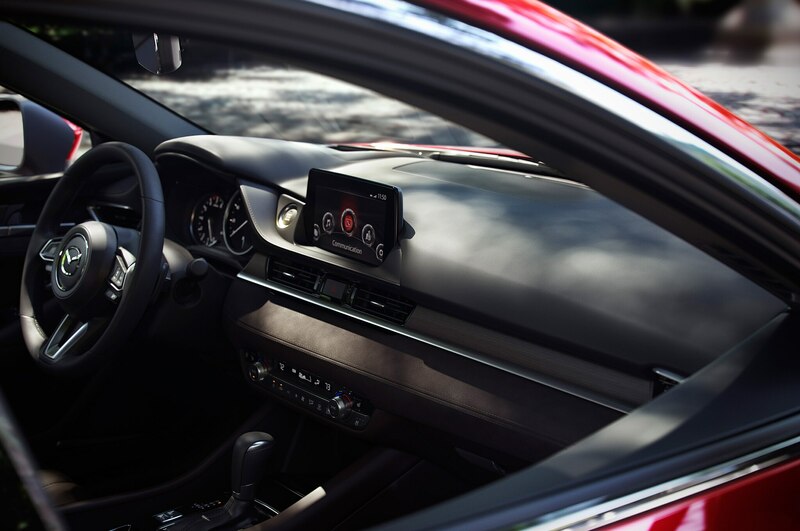 2018 Mazda6 is Android Auto and Apple CarPlay Friendly—Finally!